Some of the more overlooked home improvements are stairways and steps leading up to the doorways, porches and patios of homes. Not only do these areas often need a lot of work, but can become quite hazardous through neglect. Wooden stairs and railings are commonly seen, and usually are in the worst disrepair because wood becomes cracked, blistered, splintered, and rotted from weather and age quickly. Before you know it you could end up with wobbling, creaky, and rickety steps and landings. This doesn’t have to be. Replacing those wooden steps with long-lasting and durable concrete stairs is fast, easy and affordable. 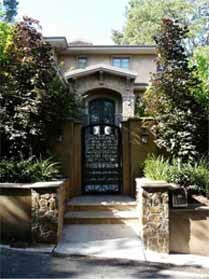 The repairs and replacements for your entrances and outdoor entertainment areas can likely be done in a single day in many cases. Van Midde and Son Concrete are the professionals to turn to for advice and the solutions to all of your concrete needs. Concrete provides a durable surface that won’t rot, isn’t easily damaged by weather, and will give you a solid, firm surface through years of use. Concrete is also more affordable than any other type of stair material both at creation and because it is longer lasting than other types of building materials. If you want the best in concrete stair installation contact the professionals who will make sure you get end results that are beautiful and structurally perfect. 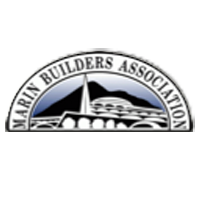 Van Midde and Son Concrete professionals have years of experience in San Francisco as well as the Sonoma and Marin counties of California and can get any job in those areas done easily. Van Midde and Son will provide the quality workmanship that makes your new stairs seamlessly incorporate into your existing decks, patios, and entranceways, and will make sure they are planted so that they remain solid for years of use. The professionals at Van Midde and Son Concrete will make sure you have a home improvement that adds value to your home and will give you years of pleasure. Located in San Rafael, Van Midde and Son Concrete installs concrete steps and stairs in Marin County, Sonoma County and throughout the San Francisco Bay Area.